It all started with a discu ssion about caterpillars and butterflies, spring, new growth and changes in the environment. 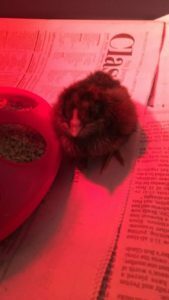 One child expressed interest in watching eggs hatch and the next thing we knew, the Early Learning Center was incubating 10 chicken eggs! We have spent the last mo nth learning all about chickens! 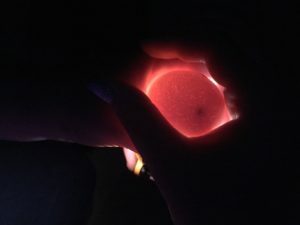 About a week in, we were able to shine a flashlight under the eggs and see the eyeball developing inside the egg. We also talked about other animals that hatch from eggs (some of the children were really hoping our eggs had dinosaurs inside). We patiently colored in an egg a day on our 21 day egg calendar while we waited for the babies to hatch and then they came, right on time! 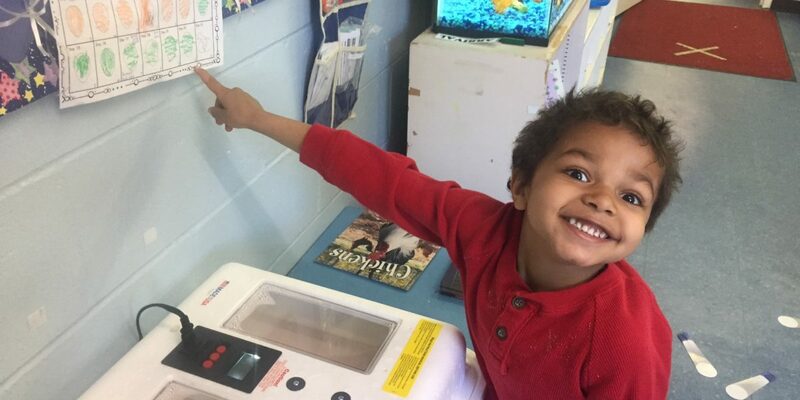 The children are very excited now that the babies are here and we will continue to talk about them as they change and grow. To see more photos, click here to go to the album on our Facebook Page.